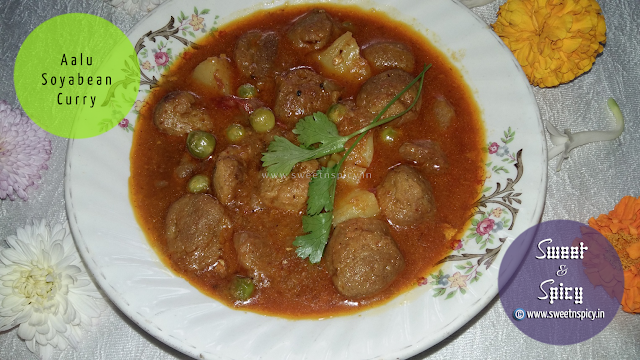 Aalu Soyabean curry (or rather mealmaker tarkari as we used to call it) has been one of my most favourite dishes since long. In fact we used to call it "Kalija Tarkari" or "Kaleji Tarkari" when we were small kids, owing to its close resemblance to the chicken liver. 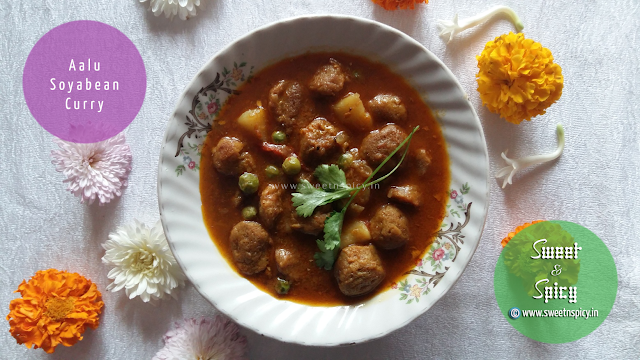 Like all other dishes, mummy was an expert in preparing the world's best Aalu Soyabean curry. 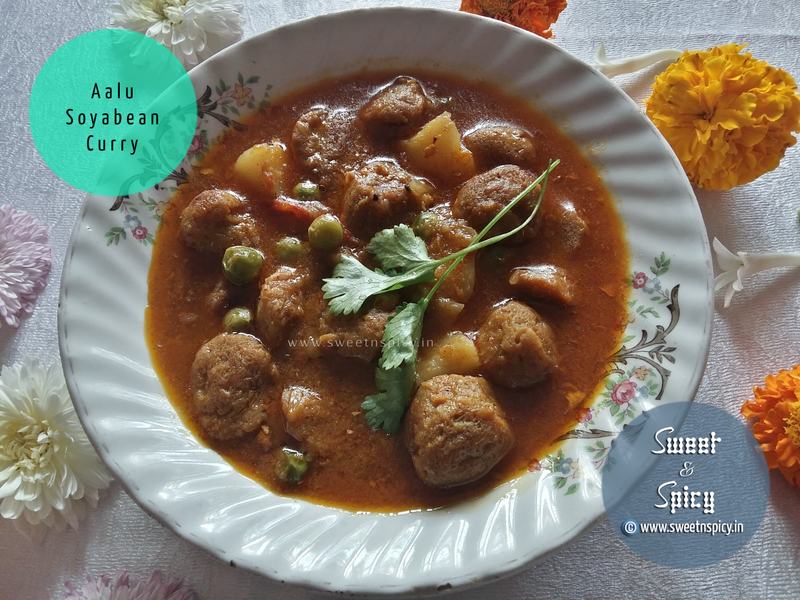 The combination tastes the best when this curry is paired with steamed rice, although one can also have this curry with hot rotis or paranthas.